This entry was posted in QGIS, Totorials and tagged hillshade, QGIS, topography, Tutorial. Bookmark the permalink. I really found this article very helpful. However I couldn’t get the cpt-city app to download the styles. It seems to generate an error in QGIS 2.8. Is there an alternate way to download and install the colour gradients? Whilst my map looks good without them, they dont look as good as yours! It’s a small text file that defines the colours used. To add the ramp, right click the Topography layer to open its Layer Properties, then on the Style tab click the yellow folder icon (it’s directly above Color). Navigate to the text file and add the ramp. Hope that helps. The hillshade algorithm only works when the DEM’s horizontal distance units are in meters or feet. However, most DEMs e.g. SRTM, are in decimal degrees (WGS84). If so, you will need to convert decimal degrees to meters by using the 111120 scale ratio. But if your DEM in a projected coordinate reference system i.e. meters or feet as horizontal distance units, there no need to use the scale ratio. It’s actually best to project anyway because the 111120 ratio is an approximation that is only valid towards the equator. If your area is big enough the ratio degree / metre will vary significantly. From the reply from MarcelMan, it sounds like there is not one z-factor. I want to get this right as I am calculating slopes and want the slope values to be correct. How could I calculate the z-factor for a specific area I am working? For example I am using a dataset where “the spacing of the grid points is .75 arc seconds north/south”. Elevations are in meters. Further if I use the DEM over a very large area (e.g., state/province scale) will there be a different z-factor for different parts of the DEM? If so, what projection would you suggest I convert to to avoid having to use z-factor conversion? Thanks for your efforts! However, at 2.10.1, Color Ramp Manager is not listed in the Manage and Install Plugins window. But Konan (above) says that “It was already installed in the color ramps”. Maybe that is what I’m facing, but I don’t understand what Konan means, and I can’t find the plugin in any menu. Can anyone help me find Color Ramp Manager? Thanks! You have to turn on the experimental plugins from the plugin settings. It maybe worth noting that the GDAL documentation only recommends the magic number 111120 for locations ‘close to’ the equator, otherwise, it recommends to project the DEM to a regular grid. Otherwise, I stand by my previous comment! What if i have to do the inverse process? 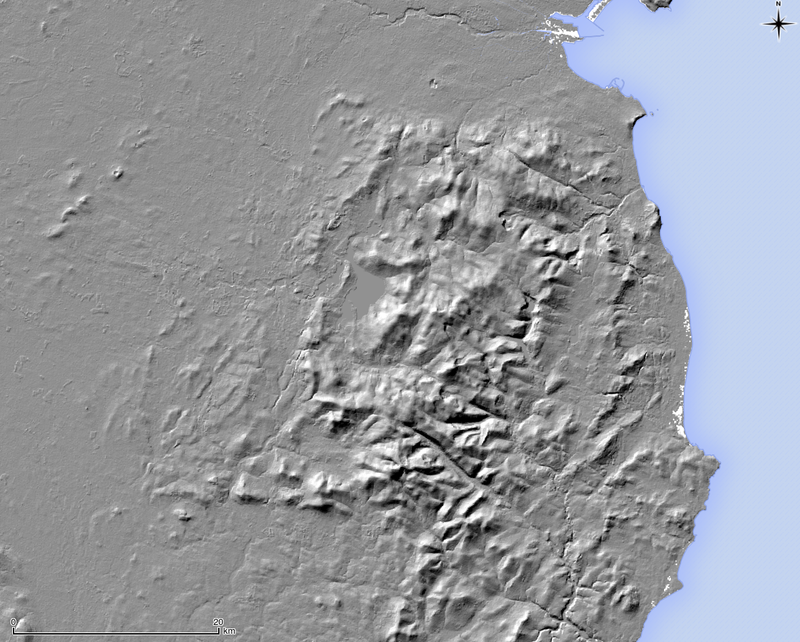 Is it possible to generate a DEM starting from a hillshade? 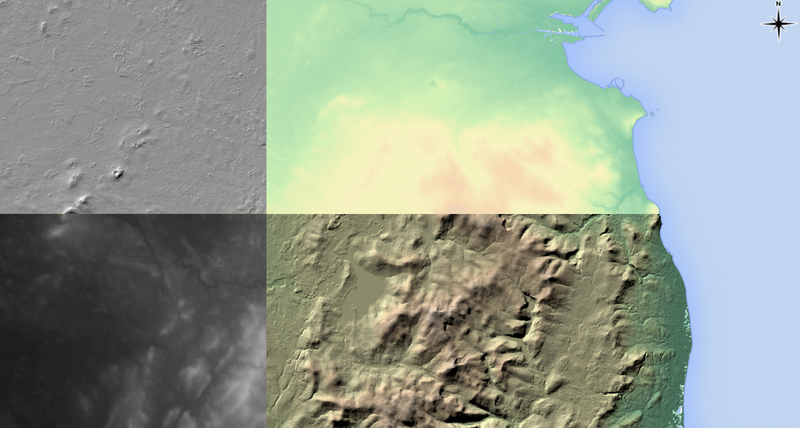 I only have a WMS hillshade file from LIDAR and I need to create a normal DEM from it cause I need the z values..how can I do it? Hello, just wondering if it is possible to use these maps for an academic article or how I would go about getting permission? Many thanks. Yes, you can use my maps from this blog post an academic article. 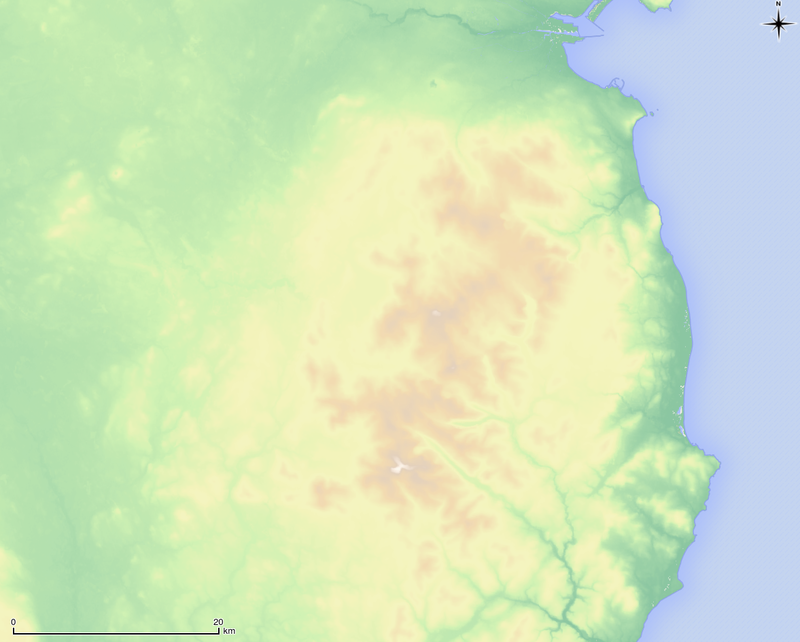 The maps and text uses the Attribution-ShareAlike 3.0 Unsorted licence. Just attribute me as the creator of the maps. This is the same licence as Wikipedia. Great tutorial, thank you for your effort. But I have a major problem – when I follow tutorial and apply (any) pseudocolor ramp, my DEM layer disappears. Any ideas? Sorry to hear you’re having trouble with the tutorial. I don’t think I’ve run into a problem like that before. Could you just check that the layer hasn’t “moved” somewhere else, due to a projection problem. Right click the layer and choose “Zoom To Layer”. 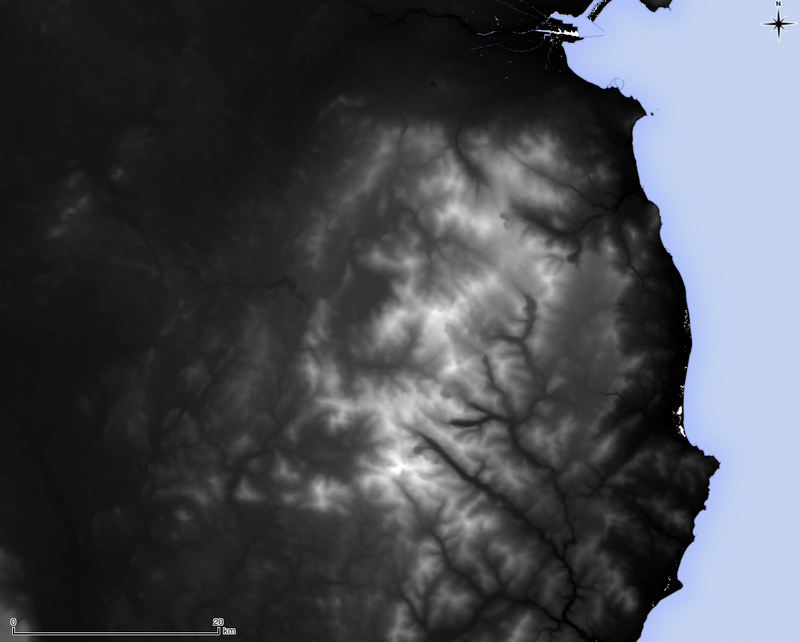 SRTM topography is in WGS84 (decimal degree) coordinates, choosing the wrong projection could put it at Null Island. It’s the only thing I can think of at the moment. You are right. I was reprojecting ASTER GDEM to ETRS and something goes wrong in this way: If I leave it in WGS it works just fine. Thank you very much, this terrain looks great this way. Thank it’s a great tutorial. I have a question. what is the best way to denoise the image?